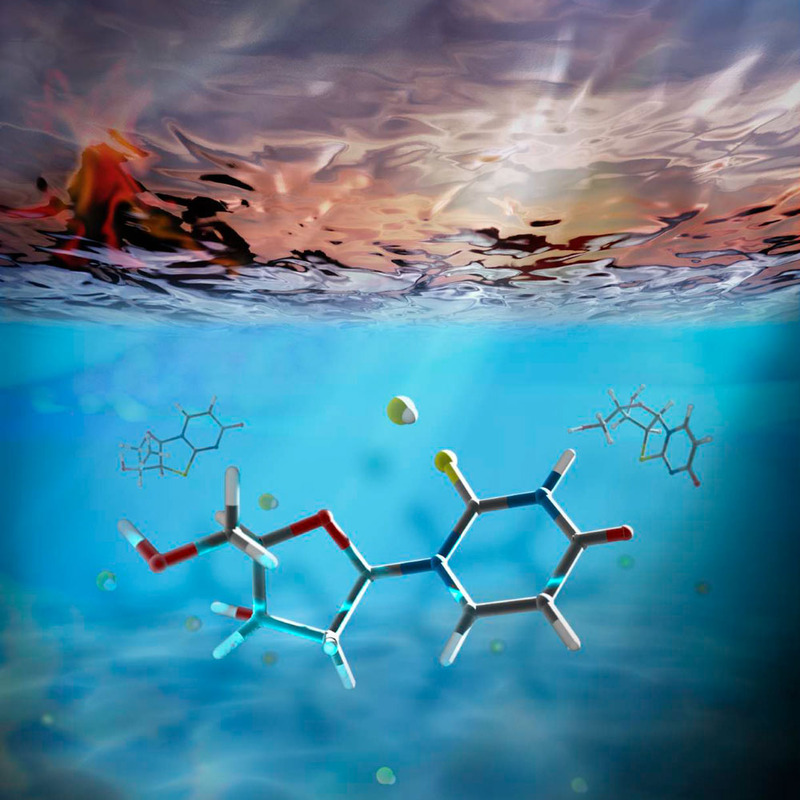 As part of an expanding network of prebiotically plausible reactions leading to the precursors necessary for life, DNA building blocks can now be synthesised in the presence of UV light and hydrosulfide, conditions potentially consistent with shallow primordial ponds and rivulets. Life is based around a complex system of information storage in DNA and conversion of that information into the RNA and proteins that perform the functions to allow our cells and us to survive. Understanding the origin of life requires identification of plausible mechanisms by which the chemical building blocks of this system might have arisen on early Earth. John Sutherland’s group in the LMB’s PNAC Division have previously identified prebiotic chemistry behind the synthesis of RNA and protein precursors, and collaborating with Ramanarayanan Krishnamurthy’s group at The Scripps Research Institute, they have now identified a long sought after connection between synthesis of RNA and DNA building blocks. In one previous study, John’s group identified a viable synthetic pathway to two of the four nucleotides that make up RNA. This process involved the use of sulfur-containing molecules that acted as intermediates on a pathway to producing the versions used by our own cells, in which oxygen replaces the sulfur atom. One product of this prebiotic chemistry was a sulfur-containing version of the RNA nucleoside uridine, known as 2-thiouridine, where the prefix ‘thio-’ means that it contains sulphur. In this new study, 2-thiouridine was also found to be a key intermediate in the synthesis of the building blocks required for DNA. Research at LMB and Scripps revealed that the sulfur of 2-thiouridine can intercept an intermediate in various phosphorylation chemistries giving a rearrangement product. Jianfeng Xu, a researcher in John’s group, discovered that it was possible to photoreduce this latter compound to 2′-deoxy-2-thiouridine using conditions approximating the early Earth which, lacking ozone, was bathed in UV light. One fundamental difference between RNA and DNA can be seen in their names: ribonucleic acid and deoxyribonucleic acid. DNA building blocks have one less oxygen atom in the sugar part of their structure, which is then called deoxyribose. Therefore this 2′-deoxy-2-thiouridine somewhat resembles the building blocks used in our DNA. Indeed, Nicholas Green, another member of John’s group, then went on to show that 2’-deoxy-2-thiouridine could be converted, in similar prebiotic conditions, into 2-deoxyribose, the sugar that is part of all of the deoxynucleosides in our DNA, and 2′-deoxyadenosine, one specific such component. Identifying a prebiotic pathway by which component parts of DNA could be synthesised from intermediates in RNA synthesis is an important breakthrough that links DNA to its biological and chemical progenitor, RNA. As this chemistry was performed under the same conditions in which other building blocks of life have been shown to form, this suggests that DNA building blocks might have been present at the origin of life and the chemical reactions identified in this work might have facilitated progression from the early RNA-based world of the first primitive cells to the use of DNA as the information storage molecule in all lifeforms. The work was funded by the MRC and the Simons Foundation.